It’s that time of year people, we’re stuffed with holiday feasts, overflowing with holiday cheer and exploding with good intentions. Those of us who are self-employed have been working away at year end stuff and all that reviewing and goal setting is spilling over into personal lives. All over we’re making goals and setting intentions be they big or small. Me, I’ve set enough goals for a small team, hopefully most of which I shall meet. On my goal list, learn to make pie crusts, run more consistently throughout the year, and improve my photography. How about you? 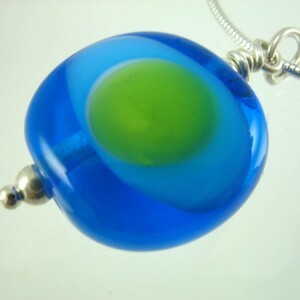 Share a goal and enter to win my grass and sky little bubble pendant. Because right now we need the hope of blue sky and green grass. To enter the giveaway: email me at catherine@sailorgirl.comand tell me about your favourite holiday treat. For more chances to win, tweet this giveawa and email me the link to the tweet. Blog it and email me the link to the post! One of my goals is to finish up some of the projects I have laying around the house.